Nike celebrates Tiger Woods‘ fifth Green Jacket, not to mention the sport of golf‘s most amazing comeback story, with the release of new Nike TW items. 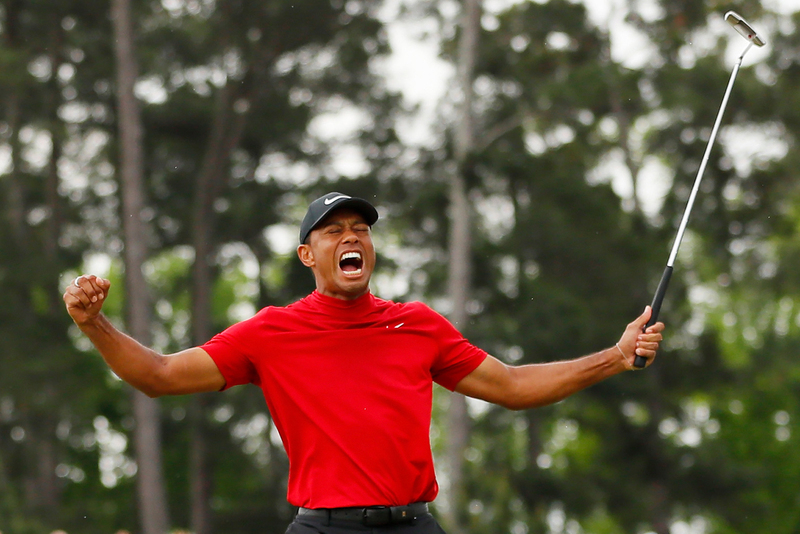 As one of his sponsors that chose not to drop him during his tumultuous years, Tiger’s win at the 2019 Masters marks his 15th major; and at 43-years-old, his victory works perfectly with Nike’s “Dream Crazy” series of advertisements — capitalizing on incredible feats of athleticism and sporting accomplishments. Just dropped over at nike.com are pieces similar to those worn by Tiger during the recent tournament — made even more visible via the numerous celebratory photographs after his 18th hole putt. In the drop we see a number of lightweight, technical sporting silhouettes like the Nike Dri-FIT TW Vapor mock-neck top and Nike Flex slim pants. In the accessories department we see a throwback AeroBill Classic 99 cap and the TW Perforated Mesh II belt. Completing the look are a pair of Nike Golf Tour Premiere golf shoes. Check out the video below to see what Tiger Woods had to say about overcoming this emotional obstacle. Those interested can shop now, where the items range from $35 USD – $200 USD. In other news, Game of Zones returns with Jimmy Butler practice scandal episode. Only 100 made for each colorway.